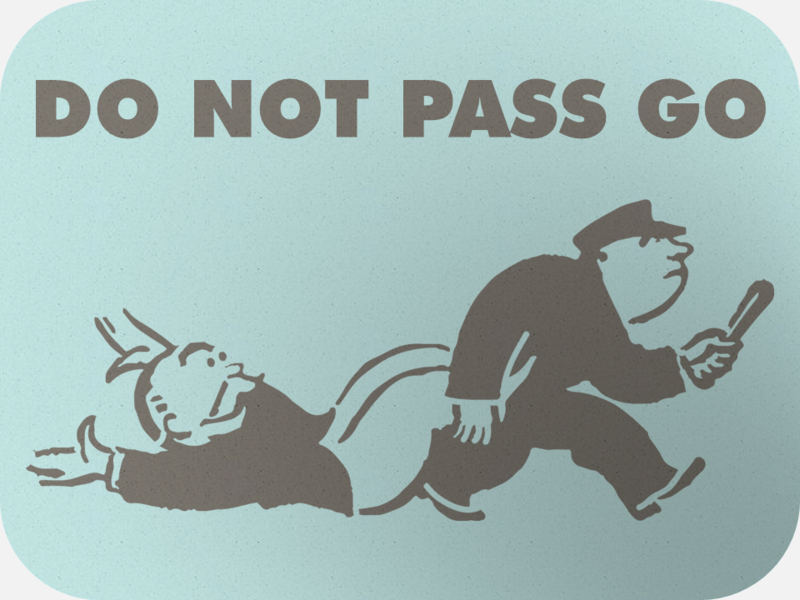 Regardless of what marketing tactics a law firm uses, there’s one that’s an absolute must. That’s why almost every law firm is investing in SEO. Not only is it where most cases are being generated from, but SEO, when done right, also has the highest Return on Investment (ROI) of any marketing tactic. What qualifies me to talk about marketing, let alone for law firms? Over the past 6+ years of my marketing career, I’ve worked with well over 100 law firms. Once upon a time, I was also the Lead SEO Strategist for a law firm marketing agency, Black Fin. If that’s not enough, you can check out this case study where we helped a law firm increase their organic traffic by 50% and monthly calls by 170% in only 2 months. 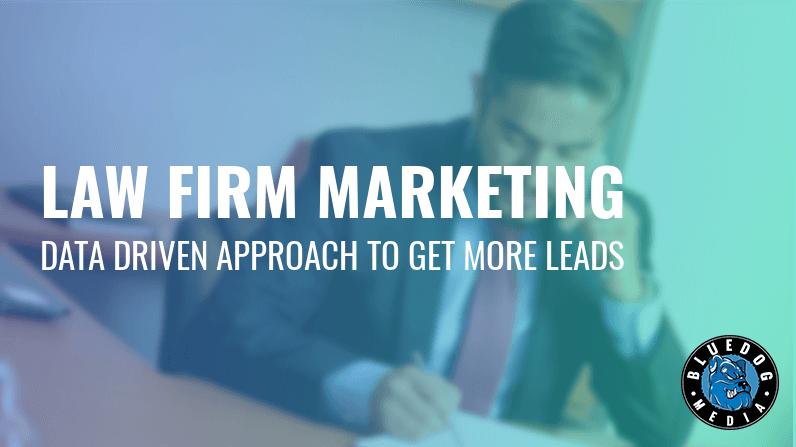 How Much Is A Lead Worth For Your Firm? There are some preliminary things you need to figure out for your firm before engaging in any marketing campaign. Let alone search optimization. That’s obvious. How much? How soon? What do you plan on doing with it? Starting a marketing campaign without a goal in mind is like going for a drive without a destination. Sure, you’re going somewhere, but when will you know you’re there? How close are you? Is there an alternate route? Should you have gotten there three hours ago? Here are some goals our clients have had. Goals allow you to measure the success of your marketing campaigns aside from metrics like traffic. They also help determine the best marketing strategy as well as realistic budgets and time frames. Depending on what you want to achieve, SEO may be a great or a horrible investment. Do you know how much a lead is worth to your firm? $500, $600, maybe even $1,000? Knowing how much a lead is worth allows for better and more accurate reporting on the success of a marketing campaign. To figure out your lead value, you need to know three financial numbers. This is how much a client is worth to your firm over the lifetime of that client. For a personal injury attorney, it may be a single case. For a business lawyer, perhaps your clients are averaging a 3-year retainer. Take the total revenue generated over a time period and divide that by the total number of transactions. We recommend using at least 1-year of data but ideally 3-5. Over the course of a clients lifetime of being a client, how many transactions will there be, on average? For personal injury, most likely 1. For business law, it may be 36+ if the average client keeps your firm on retainer for 3 years. Multiply this number by your AOV. This will give you your CLV or Client Lifetime Value. What percent of inquiries turn into clients? To find this, take the total number of phone calls, live chats, form fills, etc. Over the given time period and divide that by the number of clients gained. Assuming you also know your firm's profit margin, you can use a tool like ours to determine your lead value. Using an example CLV of $5,000 a profit margin of 30% and a conversion rate of 30%, we come up with a lead value of $450. This means, for this fictitious law firm, every lead on average is worth $450 for the firm. What are you looking to invest in a marketing campaign? What you’re able to and willing to invest on a month-by-month basis determines how realistic it is to reach your goal, how soon you can see results, and the size of your return. Of all the industries I’ve had the pleasure to work with, legal marketing is by far the most competitive and the most dirty. Never have I seen so much “Negative SEO” in any other niche. Story for another time. Since it’s likely that your competitors are already investing in search engine optimization for their law firm (with varying degrees of success). Is it even possible to beat them? If so, how long will it take? Not a fan of math? Skip ahead to the SEO strategy section! Answering either of those questions would be… complex to say the least. There are hundreds of ranking factors and all marketers have different levels of skills. But, we can use a (relatively) simplistic equation to better understand what it would theoretically take to beat the competition, as well as how long it will take. I call it the “SEO success equation”. Please keep in mind that this is a relatively arbitrary way to look at what goes into SEO. I’m using this concept to better place context to other concepts. To solve for B (Monthly Budget) we simply input what the monthly investment is or could be. V (Value) is the “value to budget ratio”. In other words, your budget may be $5,000 but how it’s used determines what it’s worth. This is is how a $10,000/month campaign can be beaten by a $5,000/month campaign. Depending on where the budget it used, the strategy, the skill of the marketer, and about 300 other things. Just in case you didn’t think this was complicated enough, Value is also not a fixed variable. Over optimization can cause the Value to drop, whereas something like a piece of content going viral and gaining a ton of links can increase Value. Algorithm updates can go either way. We’ll use Value as a constant to keep things more simple. With B and V ‘solved’ for, that will give us MV or “Monthly Value”. This is how much “value” you’ll gain per month. From there, we add in the number of Months (M) the campaign will be ongoing. This gives us TV or Total Value from the campaign within the given number of months. The order in which web pages appear on SERPs (Search Engine Results Page) is simply a matter of who has more “points”. Those points are calculated using highly complex and sophisticated algorithms that we’ll never fully understand and having “more” of something doesn’t mean you’ll have more “points”. But what does this tell us about beating competitors? Okay, so maybe I’m not a mathematician, but we can use this equation to theoretically estimate how long it would take to beat a competitor for a specific search term. The top line adds your Starting total Value (SV) to your monthly value, given a specific time period. The bottom line does the same, but for your competitor. If the output of the equation is greater than 1, then your website would be above your competitors. Consider that you have a 1,000 SV and an MV of 1,000. Your competitor has an SV of 10,000 and an MV of 500. It would take 18-months to beat them for that specific term. That’s enough math for now, but it helps put context to a couple of concepts. This type of equation would happen for every search results. You may have no realistic chance of ranking for “New York City personal injury attorney” right now. But, there are hundreds of other relevant search terms that you can go after. If you care too much about where you rank for things, you’ll lose sight of what matters. ROI. The average length of an SEO agreement is 6-12 months. Put up a page with that in your title tag and you’ll rank once Google crawls it. What’s the investment? How is that money used? What are the competitors investing? What type of pages are on the SERP? This is why a search campaign’s primary KPI should almost always be ROI (more on that later). You’re not the only law firm trying to get cases from the internet. If your competitors have a headstart, you don’t only need to work with someone who’s better than whoever they’re working with. Your firm needs a campaign that is multiple times better. With that out of the way, let’s get into the juicy part. We have a post that details how you can do keyword research as well as automate part of the process. Knowing what users search for allows you to take a laser-targeted approach in optimizing for search which can save you both time and money. “Boston car accident attorney” has almost double the monthly search volume compared to the “lawyer” variation. It’s small things like this which can make all the difference. Now that you have all of your keywords selected, mapped to their “money page”, and have selected a primary keyword for each page, it’s time to optimize the website. Instead of looking at one factor at a time, you should be looking at how all of the onpage elements will work together. The title tag is one of the most important places on your website to optimize. I recommend coming up with templates depending on the type of page. This will save time as well as keep the website optimization consistent. 10 Things Every Contract Needs To Have - John Doe, Esq. Your page URL should be short, concise, as well as contain your primary keyword for that specific page. You obviously have no control over this for the homepage. The <H1> if, you’re using WordPress, will usually default to the page title. Keep the <H1> concise, to the point, as well as using your page’s primary keyword. You don’t need to worry about the <H1> for pages that are not “money pages” (pages that will make you money, like your practice area pages). Just make sure you don’t have non-money pages optimized for keywords! You can use other header tags (<H2>-<H6>) to target additional keywords. This is often where most law firm websites go wrong. Everything needs to read naturally. The days of “SEO content” being effective have come and gone, the days of SEO’s still using it, unfortunately, have not. It looks like crap, and Google is smart enough to understand what that website is trying to do. Likely not going to convince a reader to take an action either. Next, you want to avoid keyword stuffing. When it comes to keyword density, there’s no set percentage of word usage that you should abide by. I recommend keeping every single-word use under 4%. If it’s over 4% then you can use synonymous words and phrases. 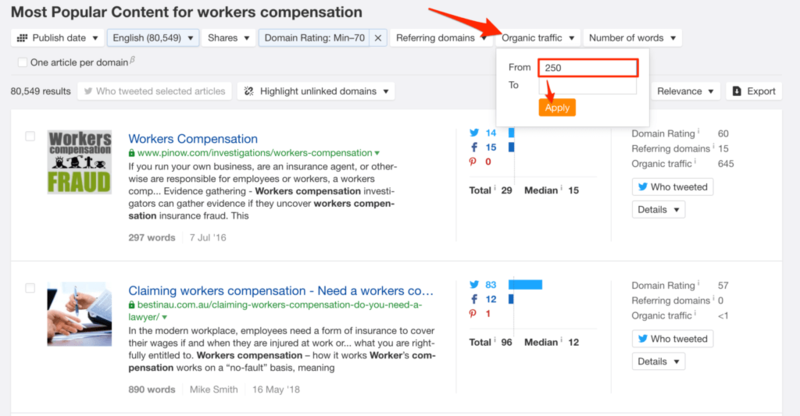 You can use a tool like SEO Quake to check your keyword density. For most law firms, you won’t need to worry about optimizing images. Unless you want to show up for image search results, then optimizing your images won’t do much of anything for you. However, if your images are over optimized, then it can hurt your organic search visibility. Check the file names and alt text of your images and “deoptimize them”. Depending on what pages your website has is going to change how you approach structuring and interlinking them. 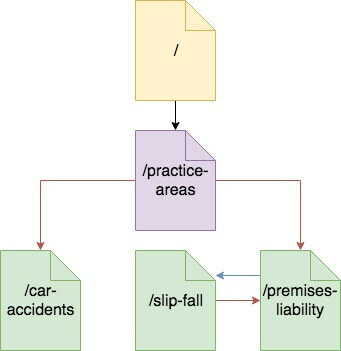 The practice area structure usually has a /practice-areas/ page, which then links to every practice area page. Some practice area pages may make sense to link together. Make a list of all of your blog posts and put 3-5 of them in a group where it makes sense for them to link together. These posts would make sense if they linked to each other. Each of these groups will be a different “chain.” Each post in a chain will link to each other, and they will also link to the relevant practice area. The last post in the chain links to the first and the practice area page links to one of the posts. This looks something like this. What we’ve done is created a “link juice recycling plant”. 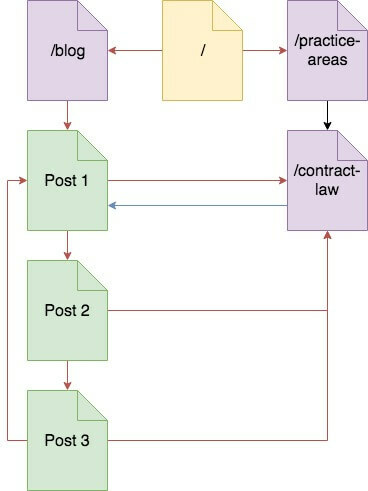 Any links that point to blog post 1-3 or the contract law page will “power up” every other page in this chain. The last structure I’ll talk about is the city page structure. City pages are essentially practice area pages that focus on a different location than your primary location. Follow the same guidelines as the practice area page structure. I recommend siloing these pages. 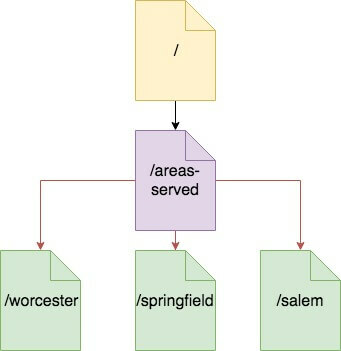 Meaning, don’t link any of the Worcester pages to any of the Boston pages. Make sure each city page has unique content! Like everything with marketing, what your strategy should be is… it depends. You could have a super aggressive strategy where you’re trying to steal all of your competitors content visibility. A strategy where you’re trying to increase brand recognition nationwide or even a “rank for links” strategy. At the very least, take a look at your blog post structure. Are there chains with less than 3-5 blog posts? Now you know what topics to create content on. We can use a tool like Ahref’s content explorer to find ideas. This gives us a list of over 120,000 web pages that mention workers comp. That’s way too many to look through. Let’s filter by language next. Most likely you’re going to choose English. But, in some cases, it makes sense to also choose Spanish or other languages that your client base speaks. With English selected, we’re now down to 118,000. Not much of a difference, but the filtering continues! We’re looking for content that’s not only relevant but could also lead to organic traffic. For that reason, we want to eliminate outliers such as Forbes, Huffington Post, and other authority websites. These websites have an advantage or being able to rank for search terms with little to no effort. I’ve set the maximum “Domain Rating” to 70. This knocks the total results down to about 80,000. Which is still too many. Our last filter is the most powerful. Filtering by organic traffic. In this case, we’re looking for pages that have at least 250 monthly visitors from search. This leaves us with 337 pages. A manageable number to play around with other filters as well as exporting the list to play around with the data in Excel or Google Sheets. However, right away we can spot an interesting post. This page gets an estimated 3800 monthly organic visitors, has social shares, and links. There’s a lot we can do with this content, but that’s a post for another time. From here, create a list of 10-15 posts that look good from eye-view. After that list is created, visit each page to determine if the topic is relevant enough for your firm’s website as well as the blog post chain. This isn’t a post on how to acquire links, there are thousands of different strategies that you could use and hundreds of articles about each one. What 99.9% of law firms are missing is a link acquisition strategy that’s driven by data. It doesn’t make sense to throw a bunch of links at a website and hope that it manages to rank. Wouldn’t you like to know how many links and what type of links you need? Do a Google search for a search term and grab the page of the top ranking law firm. Take that webpage and throw it into Ahrefs site explorer. Navigate to the anchor text report from the left side navigation menu. This will show us all of the different ways that websites are linking to this law firm. Make sure you’re viewing the URL anchors and not the domain anchors. As of right now, Google analyzes links on a page-by-page basis so we want to review the anchor text for the pages that are ranking. View the “live” anchors. This will filter so that you only view links that still exist. And then export the anchors using the export button on the right side. Use the exported CSV file to classify every type of anchor text. Anchor text that contains a keyword. Anchor’s that contain the name of the firm, a partner, lawyer, or employee. 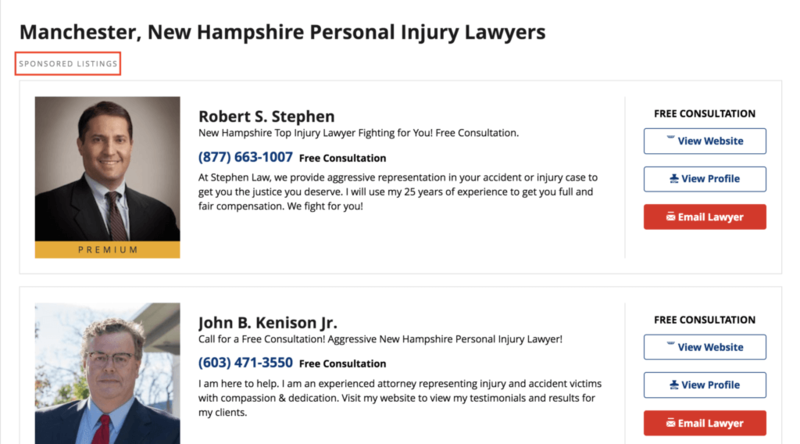 If the firm’s name contains a keyword, such as “Boston Injury Lawyers PLLC”, then the branded anchors would be target anchors. If the anchor is a website URL. Random anchor text such as “view website”, “click here”, “read more”, etc. 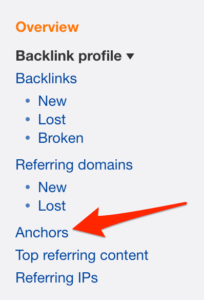 After classifying each anchor, you can see the anchor type ratios as well as the total number of links by using the “Referring Domains Total” column. Repeat this process for the top 2-5 law firm pages for the same search term, and you can then see exactly what you need to do. You now know what Google has told us is okay when it comes to anchor text and how many links the law firms who rank for the keyword have. To be competitive on page 1, you’ll need an estimated 95 links with ~19% of them having targeted anchor text. You can dig down even further by looking for the outliers. Site 1 & Site 2 have way more links than Sites 3-5. 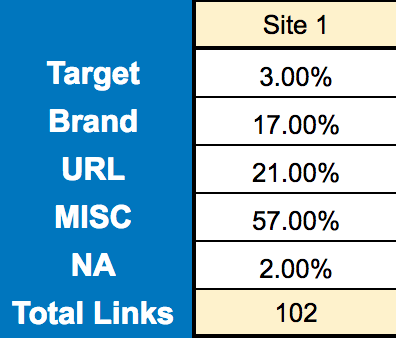 If we average the total links for Sites 3-5 then you’ll need an estimated 40 links to break into position 3-5. We could get even more complicated by looking at the quality of the links. But that could be a post in and of itself. By repeating the same process for each of your practice area pages, you’ll have a clear picture of how to approach your link acquisition. “When you send links to a site and you see little to no ranking benefit. Around mid-2014 we started to see a sandboxing effect on new domains that had been recently registered. Before this time, we used to be able to register a new domain, throw some PBN links at it, and within 5 days it could potentially be on page 1. Now a days, people are reporting sandbox periods of 2-4 months long.” - Matt Diggity (read more). You’ll also better understand what’s a realistic strategy based on your budget. This is one of the most important things we look at when going through the SEO Blueprint with clients. Mesothelioma may be the type of case you’re going after, but it may not be realistic with the current budget, but by first focusing on auto accidents, those cases will bring in enough revenue to reach the end goal. There’s no point in going towards a goal you know ahead of time you can’t reach. This all sounds great, but you also need to make sure you’re tracking everything that you can. Not just so you can see how much progress has been made, but to also to know when you need to change course. You can use tools like Microsite Masters to track search rankings. Don’t take the results to mean much, use them to estimate how things are going overall. No rank tracking tool is 100% accurate. You’ll also find that tracked search terms can sometimes drop 30-40 positions overnight and then bounce back within a day or two. If you only look at individual terms, you’ll have a heart attack every 3 hours. Using Google Analytics or other web analytics tools will allow you to track the number of users visiting your law firm’s website and where they’re coming from by using the Acquisition > All Traffic > Channels report. Just like web traffic, you should also keep track of how many leads your firm is generating on a daily, monthly, quarterly, and yearly basis. You can track phone calls by using a solution like CallRail. Simply slap the tracking number onto your website and you’re good to go. If you want to get more advanced than you can use tracking numbers for all digital and traditional advertising and Dynamic Number Insertion (DNI). For tracking form fills, you can use Google Analytics goals or Google Tag Manager events. If you’re using a live chat like Apex, you’ll want to talk to their support about their built-in lead tracking. If they don’t have any, click events are likely the way to go. Answering “is our SEO campaign profitable” is an important question and not a simple one to answer. The best part about SEO is that it has a compounding ROI. Just because the investment stops or the focus is changed, doesn’t mean that the ROI stops as well. 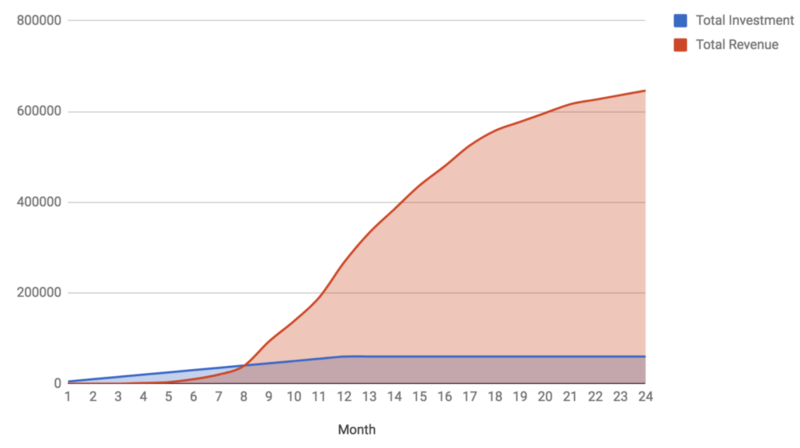 In this example, the 12-month campaign is only profitable as of month 9. Even though the total investment doesn’t change after 12 months, the revenue this fictitious law firm generates from the campaign continues to rise. If you’re a law firm that takes marketing seriously, then you likely understand how marketing isn’t just a bunch of independent “tactics”, but that SEO, PPC, reputation management, digital advertising, traditional marketing, and everything else works together. Poor reviews on Google and lead to less revenue from your SEO campaign. Retargeting organic visitors can lead to a more profitable SEO campaign. Here are some more ideas to take your firm’s marketing to the next level. When you look at the average SERP for legal queries, directories typically take up 3-5 of those positions. Which means, if your firm's listing is showing up on these sites too, you’ll have visibility on 4-6 of the 10 organic listings. The easiest way to rank in the top results for these sites is to pay them. The average person doesn’t search on Google for an attorney and then hire the first person they come across. Chances are, prospective clients are doing a little bit of research about you and your firm. What do you think the chances of them hiring you are if they come across this? A study by Harvard Business School found that each missing review star can cost a business 5-9% in revenue. While that stat is from Yelp, I’m sure the numbers would show similar results for Google. Do a Google search for the firm’s name as well as every partner and attorney at the firm. What shows up? Does the firm need to improve its review ratings? Do any of the attorneys have negative press about them easily visible? You can drive all the traffic in the world to your website. But if no one ever contacts you, you’ll never get a case from it. Design trends come and go, web standards change, new technologies are released every year. Most will say you should redesign your website every 2-5 years. It’s not just enough to have a website and hope that it will generate leads. You should be testing the design elements to see what combinations lead to a higher conversion rate. What happens when you change the button color from blue to orange? What happens when you change the button text to “call now”? What happens when you change the form to a multi-step form? If the firm gets 1,000 monthly visitors, an increase from a 5% to 7% conversion rate is an extra 20 leads a month. Who is reading this page? What pages has the user likely visited before this one? What research has the user likely done? What emotions should the user feel right now? What action should the user take? What pages will the user likely visit after this page? What research will the user likely do after reading this page? Top-quality conversion content can easily cost thousands per page, so you probably don’t want to go crazy. Map out your most important pages that a user will read. Top of the Funnel (TOFU) or “discovery” content helps bring in traffic, links, and shows prospective clients that you really know your stuff. What questions would someone have before hiring you? What are common questions asked during a consultation? What makes a contract legally binding? Can I get out of my contract? What to do if someone breaches a contract? What happens if your DUI caused someone's death? How much does a criminal lawyer cost? How does a civil suit work? Phew! You made it. ~4,800 words later. Now you know how your law firm can create a data-driven SEO strategy and leverage more organic traffic and conversion optimization to generate more cases. It’s best not to “throw stuff against the wall to see what sticks.” The legal space is too competitive to “hope” that you’ll get results. Don’t forget to track and review progress! #1 Google Ranking Factor is… Time?